High Powered 2000MAH Battery BUY FROM THE EXPERTS! Was £24.99 Now £20.95 Limited Time Only. 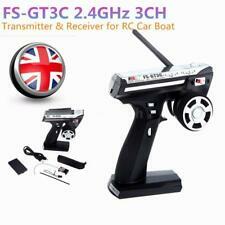 2.4G FS-GT2 2CH Radio Model RC Transmitter & Receiver Car Boat. Work between 2.400GHz to 2.4835GHz frequencies, divide into 160 frequency points. Very low power consumption. 1 Transmitter (FS-CT2). Absima 2 Channel 2.4GHz Receiver. Absima 3 Channel 2.4Ghz Receiver. Although this is a 3 channel receiver, this is the receiver which is supplied with the Absima 2 Channel Stick Handset and Wheel Handset. UPGRADE YOUR 27MHZ RADIO TO INTERFERANCE FREE 2.4GHZ! Very low power consumption, and stable performance. Mode type: car / boat. LCD screen display. 1 Transmitter. Display: LCD screen. Works between 2.400GHz to 2.4835GHz frequencies, divided into 160 wave bands. 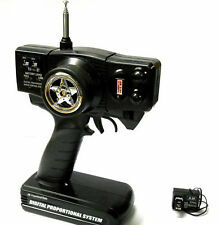 1 AX6S Transmitter with Receiver. Channels: 4CH. Built-in design of the antenna in the transmitter. Specifications of Transmitter It possesses super active and passive anti-jamming capabilities, very low power consumption and high receiving sensitivity. Channels: 3CH. Type: Remote Transmitter for RC. Transmitter Size: 13.7cm x 16.2cm x 68.6cm/5.39" x 6.38" x 27.01" (Approx.). 1 x Transmitter. Very low power consumption and high receiving sensitivity. Transmitter: FS-GT2. Super active and passive anti-jamming capabilities. Very low power consumption. 1 x Transmitter (FS-CT2). Receiver: RM179. 1 x Receiver (FS-GT3C). Work between 2.400GHz to 2.4835GHz frequencies, divide into 160 frequency points. The RadioLink T8FB 2.4GHz 8CH Transmitter w/ R8EH 8CH Receiver can be used with helicopters, fixed wings, gliders and multi-copters. Greatmulti channel set for model boats, cars, helicopters and drones. Very low power consumption, and stable performance. Mode type: car / boat. LCD screen display. Display: LCD screen. 1 Transmitter. Works between 2.400GHz to 2.4835GHz frequencies, divided into 160 wave bands. Model Boat Prop Shaft M4 Stainless Steel 5-18Inch Radio Remote Control RC Boats! Mtroniks Speed 600 6-12V Electric Motor. Mtroniks Speed 600 6v-12v Electric Motor Ideal for RC Boats and Planes & Cars. The class 500 for model boats, planes & cars has been developed because of the excellent performances of these small E-motors. Origi-nal Flysky FS-GT3C 2.4Ghz 3CH AFHDS Automatic Frequency Hopping Digital System Transmitter & FS-GR3E 2.4Ghz 3CH Receiver for RC Boat Car. Channels: 3CH. 1 FS- GR3E Receiver. 1 FS-GT3C Transmitter. 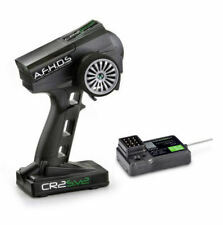 2.4G FS-GT2 2CH Radio Model RC Transmitter & Receiver Car Boat. Very low power consumption. 1 Transmitter (FS-CT2). 1 Receiver (FS-GT3C). Work between 2.400GHz to 2.4835GHz frequencies, divide into 160 frequency points. Buy from the experts over 75 years in the UK trade ! Features:1.Suitable for Wltoys 12428/12423 RC Car 2. 2.4G 2CH Transmission signal3. High quality and long life4. Safe to use5. 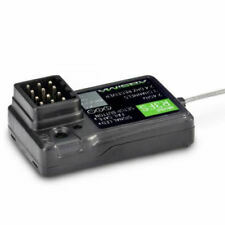 Help you afford expensive repair and save your deviceDescription：1.This 2.4G 2CH Transmitter is special for Wltoys 12428/12423 RC Car2.It is with high quality and safe to use3.Help you afford expensive repair and save your deviceSpecifications:Item name: TransmitterFrequency: 2.4GHzCH: 2CHPower: 4 X1.5V AA battery (not included)Supports. RC CAR RADIO CONTROL REMOTE AERIAL ARIEL ANTENNA MALE HENG LONG ACOMS Screw in! LENGTH WHEN FULLY EXTENDED 970mm. Built-in design of the antenna in the transmitter. Mode type: car / boat. Very low power consumption, and stable performance. Display mode: LED indicator. Model type: car / boat. 1 Transmitter. Works between 2.400GHz to 2.4835GHz frequencies, divided into 160 wave bands. Radio Remote Controls RC Transmitter/ Receivers . Condition is Used and one unit looks new and a tatty box. Couldn't tell you much about them apart from i guess they went with the boats I'm also selling.